Choose from a topic below or request to have one customized. You have to work with other people – either as a boss, peer, or client – to be successful. Learn the best way to adapt your style to be able to work and get along with anyone. No quizzes or test taking necessary. The only tools you need are your eyes and ears; learn how to use them in a unique way to gain the results you want and need. It is human nature and a leadership desire to have a team that can run itself, work according to your standards and consistently deliver results. To get to this point you need to develop leadership habits – 7 in particular that will get your team to the point of engagement and accountability without you feeling awkward or robotic. Creating a productive work environment focused on positive interactions. Active listening skills to increase interpersonal business communications. She published two books – “Speaking their Language: Understanding Client, Vendors and Employees” and “D.I.A.L. I.N.T.O. Recruitment – Hiring Right the First Time”. She has lived and worked overseas in Mexico, Argentina, and South Africa and is bilingual in Spanish. 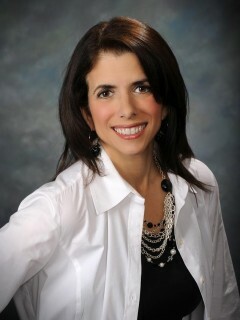 “Andrea is very knowledgeable about HR topics, specifically conflict resolution among employees. Her workshop was very insightful and practical.” ~ Lisa H.
“I found Andrea to be encouraging, knowledgeable and pleasantly willing to share her expertise!” ~ Nancy N.
“We were so happy to have you as a presenter. You made the topic fun, easy to understand, and gave us all tools to use in our day-to-day work capacity and environment. Although weeks have passed since you were here, I am hearing your words practiced throughout the library-staff on a daily basis.” ~ Denise D.